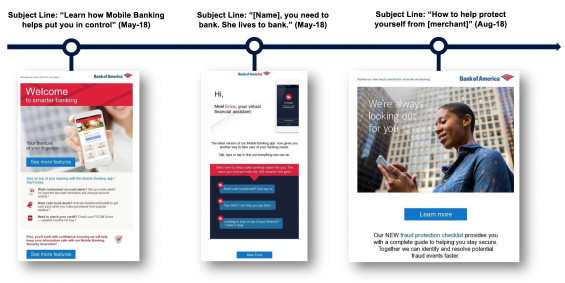 Bank of America has been testing many onboarding strategies over the years, leveraging a series of multiple emails delivered over time based on engagement activity of the new account holder. Bank of America is one of several organizations that have extended their onboarding email communication well beyond 90 days if the consumer needs to expand their use of ancillary services. 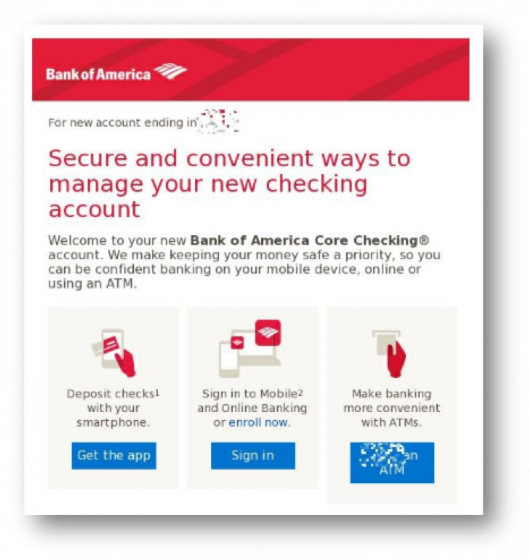 Onboarding emails to new Core Checking customers at Bank of America invite recipients to get the remote deposit capture app, sign into online or mobile banking, and to learn more about their checking account and the location of ATMs. 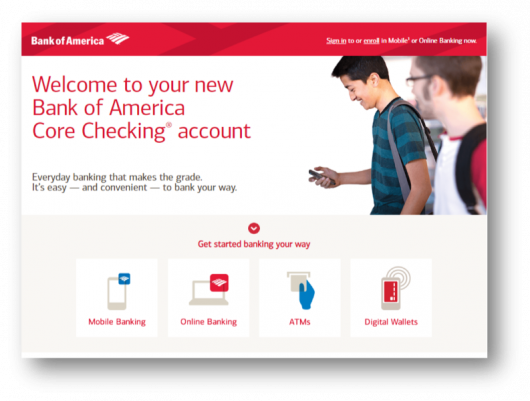 After new customers click the “Get Started” icon in the welcome emails, they are redirected to the Bank of America Core Checking account landing page where they can learn more about their account. Below the drop-downs on the landing page, Bank of America lists personalized protection, savings, and education options. Following the welcome email, Bank of America keeps the communication process very active, with frequent informational emails regarding account features and account management tips. 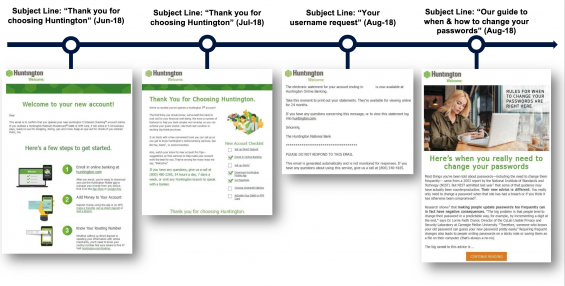 Huntington Bank has been testing various onboarding communication strategies and tactics extensively for years. 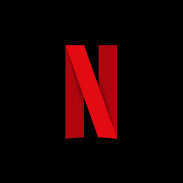 They are one of the most aggressive mass-media marketers for new accounts, using TV and print to generate new accounts regionally. 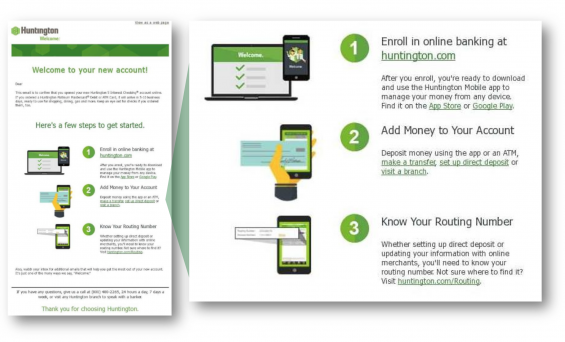 Once a new account is opened, Huntington welcomes new customers with email communications outlining the first three steps to start managing their account. The emails focus on enrolling in online banking and downloading the mobile app. The campaign also encourages new account holders to build an account balance while providing tips and information on how to set up direct deposit. As an aggressive marketer for new customers, the ability to turn dormant prospects into engaged customers is very important for Huntington. The Digital Banking Report has found that the cost of a new account that never becomes an engaged customer is over $400, which includes the cost of acquisition and the net present value of lost revenue on the relationship. For organizations that do not aggressively communicate to new account holders, attrition of new relationships can exceed 30%. By converting as little as 5% of dormant accounts, banks and credit unions can more than pay for the most extensive onboarding program. Huntington bank thanks customers for choosing their bank multiple times over the course of the first six months, and then guides the new account holder through the process of setting up and managing their accounts. One of the concrete examples of a change in sales culture at Wells Fargo is their revised new customer onboarding process. Once one of the more sales-focused onboarding programs in the industry — including communication channels ranging from email to direct mail to SMS texts and direct phone calls — Wells Fargo noticeably focuses on consumer needs in its current onboarding communications. 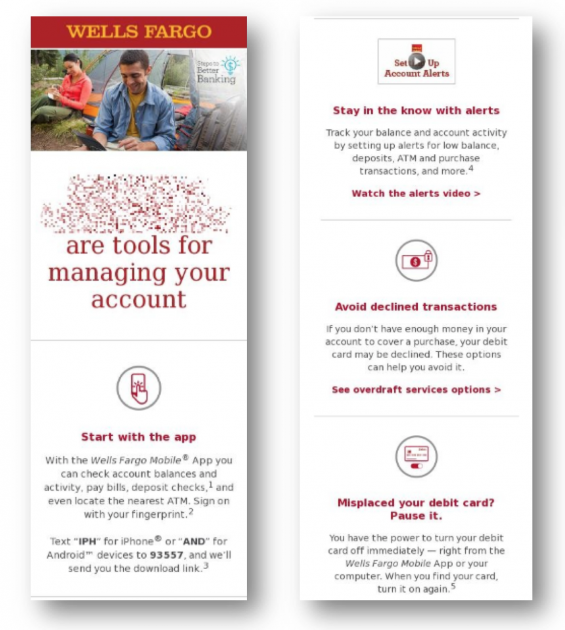 Wells Fargo sends email communications to new account holders with tips on how to better manage their accounts, inviting them to download the mobile banking app, set up alerts, set up overdraft protection, and pause misplaced cards. Each of these tools are strong digital engagement services that will help retention without the impression of “selling” new services. All of the messaging is on consumer benefits. It is not until later in the onboarding process that Wells Fargo introduces additional products, such as savings options. 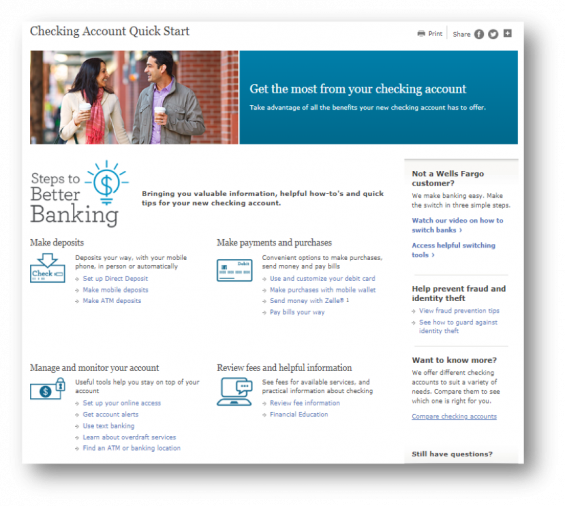 Within the Wells Fargo welcome emails, there is a link to their “Quick Start Guide,” which includes even more tips for checking account management. Again, noticeably absent are any references to adding new accounts to the newly established relationship. Instead, all of the copy is designed to assist the new customer through the early stages of new account management. Wells Fargo also provides links to tutorials on how to switch financial institutions, links to fraud prevention and even links to a checking-account comparison tool. Finally, Wells Fargo includes a link to videos with tips like how to better manage money and maximize banking relationships with the option to call a live representative. Bank and credit union customers want you to “Know them, understand them and reward them.” There is no better time to let the consumer know that you will exceed their expectations than during the time immediately during and after account opening. 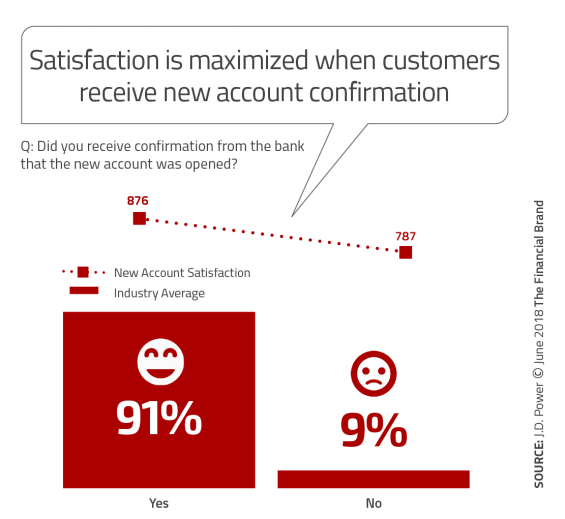 And with the majority of consumers hardly ever visiting the branch office after account opening, the need to digitally engage with the new account holder has never been greater. Not doing so can be very costly, both in terms of zero return on account-acquisition costs and lost future revenues on the new relationship. Focusing only on the cross-sell of additional services misses the bigger, and potentially more important, component of satisfaction — the customer’s end-to-end experience. It is important to look at customers’ experience through their eyes — during every step of the customer journey. With this perspective, value can be optimized and satisfaction maximized. Wells Fargo has done the best job of shifting its sales mindset into a more consumer-focused onboarding strategy. As mentioned, the onboarding communications process is not a one- or two-step thank you. The digital engagement customer journey can be long, across multiple channels and touchpoints, often lasting months. Welcoming a new customer and building engagement through an onboarding process is a perfect example of how to improve the customer experience beyond the use of the service. It is also a highly personalized journey that builds in different ways for different customers. The challenge for many financial institutions will be to move from product silos to customer silos. The individual product and service owners that manage the communication touchpoints within a bank or credit union can lose sight of what the customer sees (and wants). This is why we recommend that financial services organizations use a single centralized team to coordinate early communications that are built using multiple channels and delivered with the customer experience front and center. This article was originally published on December 6, 2018 . All content © 2019 by The Financial Brand and may not be reproduced by any means without permission.